In November 2 new staff members joined Kominox Estonian unit: Sergei Jeminski from 01.11.18 and Kristina Ivanov from 19.11.18. Welcome aboard and wishing you a successful career in our friendly team! Just like last year Kominox will attend the Subcontracting 2018 Trade Fair held at the Exhibition and Sports Centre in Tampere, Finland, on 25–27 September! 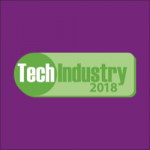 Approximately 20,000 professionals are expected to take part in this international event, which is also the leading industry exhibition in Finland and the second largest subcontracting exhibition in Europe. You can find us in the C-hall at stand 420. Kominox will attend the Subcontracting 2017 Trade Fair held at the Exhibition and Sports Centre in Tampere, Finland, on 26–28 September! 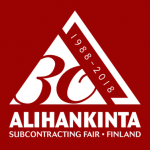 Approximately 20,000 professionals are expected to take part in this international event, which is also the leading industry exhibition in Finland and the second largest subcontracting exhibition in Europe. Starting from 12-Nov-2014 Kominox will transfer most of its handrail systems fittings and parts to Tallinn. From now on Fredrikstad warehouse will keep only items demanded in Norway. All other markets will be served from Tallinn.Why such a move? Although some customers in Scandinavia buy from us only fittings, many more prefer to purchase both tubes and assembly components. By centralising our stock in Tallinn we aim to improve delivery performance to our customers buying fittings and clamps together with tubes.